I recently received these items! 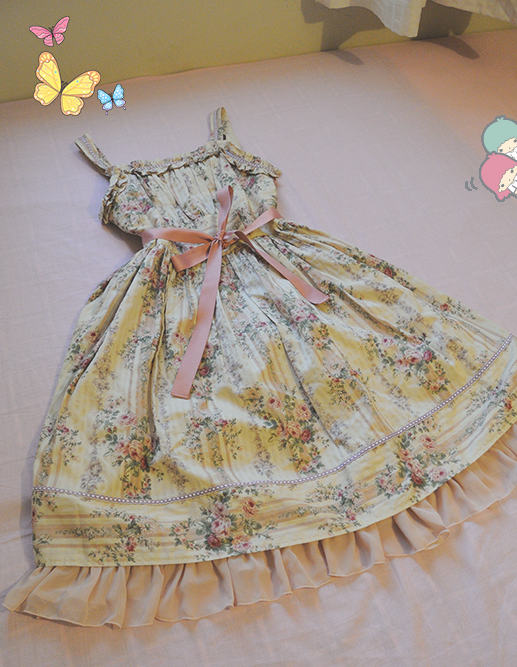 First is Victorian Maiden’s Stripe Rose JSK! 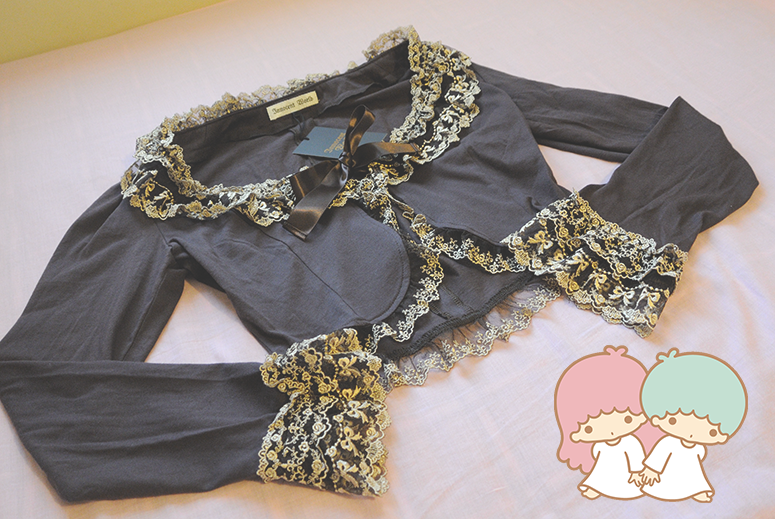 And I bought Innocent World’s Original Ribbon Lace Millefeuille Bolero in 2 colors! It’s a bit of a shame, but recently, I haven’t been feeling capable of making nice coordinates with my dresses. That’s why I don’t post so many pictures recently. And after reflecting a bit more, I think I like classic style, but maybe I am more suited as an admirer? Soon I will have a lot of sweet clothing coming soon! 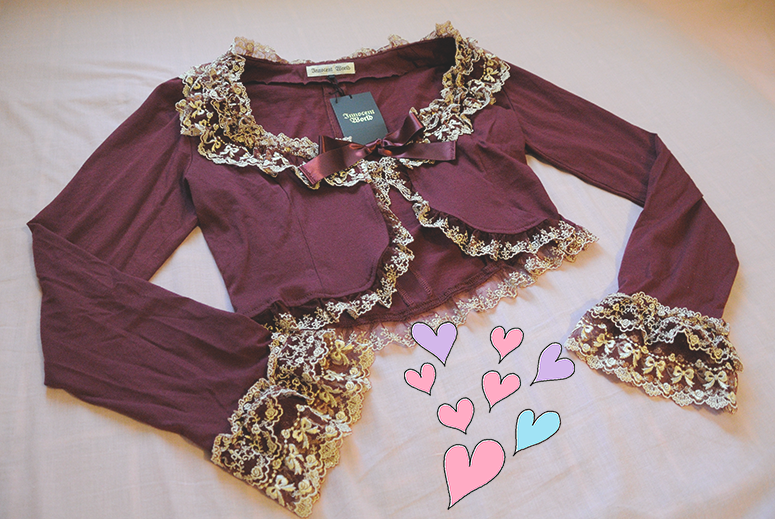 What I mean is, I ordered a lot more clothes with chocolate theme. I’m also getting older so I’m worried that a sweet style will only suit me so much longer.. There are so many things to think about! Do you prefer classic or sweet style? There’s one more topic I’d like to talk about! It’s a topic I don’t typically talk about, but please bear with me. Hong Kong is a place I really love. It’s a unique plan where East meets West. It’s also the place where people of my ethnicity are from. My family came from Guangzhou in China. They were fortunate enough to escape to Hong Kong to have a better life. Hong Kong is a small city. It was formerly a British colony, but was handed over to China with a special government with more freedom than China. Under both British and Chinese rule, Hong Kong never had democracy. My family ended up moving to the United States for fear of the future with China. We are very fortunate though as we had connections in America. Currently, there’s many students protesting there asking for the basic right of democracy. There is a lot of internal conflict about this because many businesses rely on China for their income. Also, Hong Kong is a very wealthy place and many don’t want to damage the reputation of the city and prefer stability. But I think it’s important to have democracy. I think it’s important for people to choose what they want! So I’m supporting the students with all I can! Thank you and please think about Hong Kong!